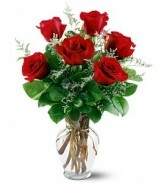 Beautiful red roses arranged expresses your love. 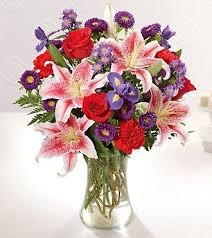 Half a dozen rich red roses in a clear glass vase. 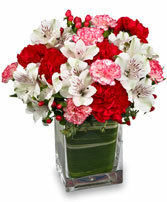 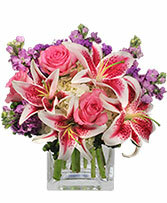 Rectangular Vase, Foliage: Variegated Aspidistra Leaf, Red Carnations, White Alstroemeria, Peppermint Mini Carnations, Red Hypericum.